I have a NAS at home and wanted to be able to show my stored media on my TV. I looked at the different options and came to the conclusion (also based on the advise of a colleague) that the best for now would be a Raspberry PI. HDMI out, 2 usb ports and a lot of experience and help on the web on this device. For old tv’s there is a rca jack, so it’s solution you can also use on your bedroom tv. Slow, it has 512mb of RAM on board, so it’s not the ideal setup if you want fast navigation or want to use it on a HDTV for example. It is a mini computer that is developed for stimulating the teaching of basic computer science in schools. But just like the Arduino it can be used in a lot of ways. When you put a proper casing around the Raspberry it looks more like a real computer. It has the ability to output 1080p video and can work as an interface between your NAS and TV. 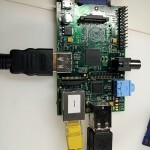 This can be achieved by installing a XMBC OS on the SD Card that can be inserted into the PI. With a Composite video output and 3.5mm audio jack output or a HDMI output it can be attach to an TV. 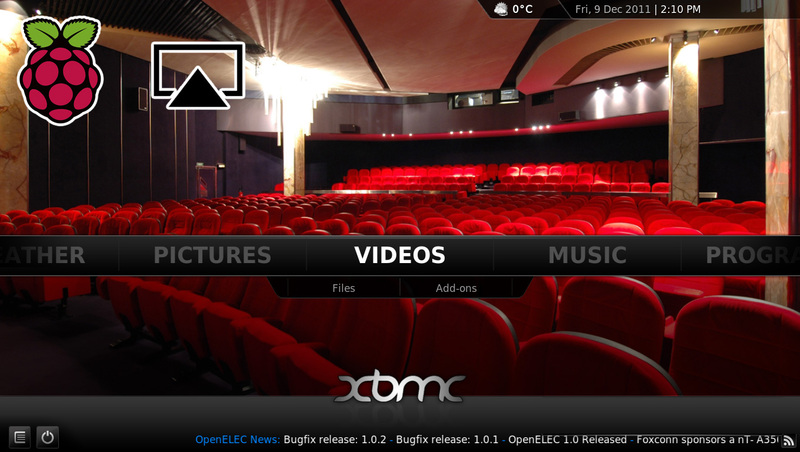 I installed the OpenElec version of XBMC on the SD Card ( followed these instructions: http://wiki.openelec.tv/index.php?title=Installing_OpenELEC_on_Raspberry_Pi ) and it ran immediately. when I plugged in the power, network and HDMI cables. The only thing that didn’t work directly where the mouse and keyboard I attached. After attaching another mouse and keyboard, it worked. Advise from my colleague was to install Synergy to use your keyboard and mouse from another computer. Maybe I will dot this later on. 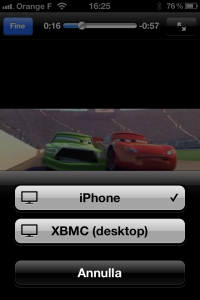 So XBMC is an OpenSource media player. It allows users to play and view most videos, images and music from the internet, and all common digital media files from local and network storage media. See the video below for a introduction. 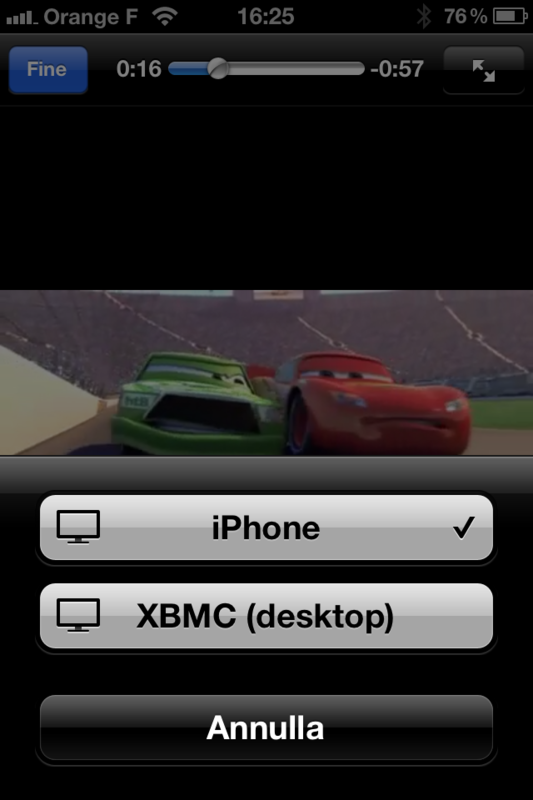 XBMC can be used to play/view all common multimedia formats. See here for all the formats like uPnP/DNLA and AirPlay/Airtunes. Next to an keyboard or mouse you can also use an smartphone to use as a remote control. I downloaded the XMBCremote app from the App Store for this. You can also control some add-ons with this. I was especially interested in showing videos from YouTube and Missed episodes from Dutch Television Broadcasters and indexing and playing my media files from my NAS. I’ve installed the following plugins with suc6. Show YouTube content. Login with your account and show your private movies. Nowadays YouTube also has 1080p movie quality. Show and browse Vimeo content. Search in the add-ons directory for this plugin and install it. 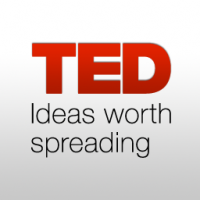 TED is a small nonprofit devoted to Ideas Worth Spreading. It started out (in 1984) as a conference bringing together people from three worlds: Technology, Entertainment, Design. Since then its scope has become ever broader. I found out that the Dutch add-on Nederland24 and the Grooveshark add-on where not working any more (With all (opensource) software it’s important that people keep contributing to it so it will keep on working. I think these are not updated any more). A nice feature that comes with the iOS systems and iTunes is AirPlay. You can stream content directly from your iPad or iPhone for example. 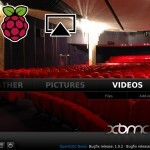 This can be done with video from your local library and even images can be slided on your phone and slide on your xbmc. For video’s it works on al compatible video’s, also from within an app as from within the browser. See an Apple promotion video about AirPlay below. 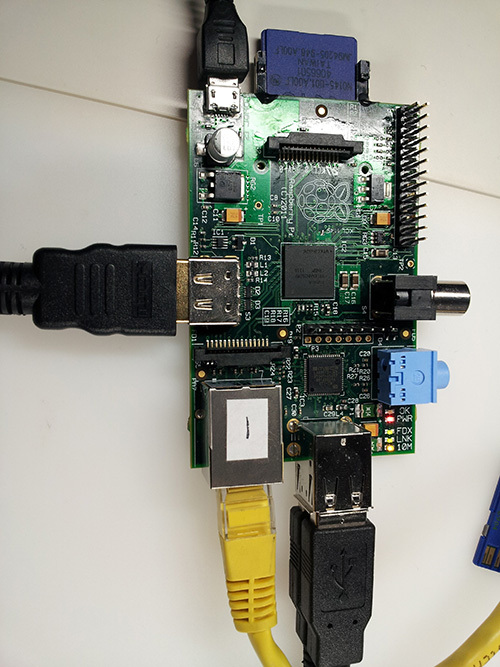 An Raspberry PI with XBMC is also an affordable alternative for a system like Sonos (a music system where you can easily listen to music from your NAS and popular services like Spotify and operate it from special Sonos apps). 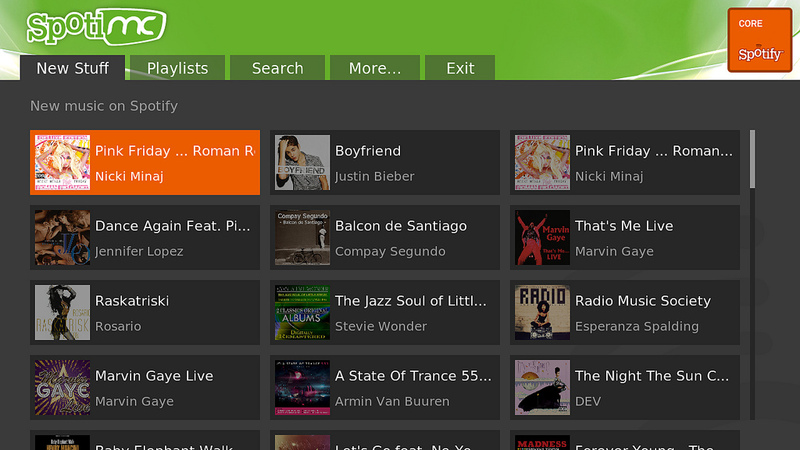 Of course you are not getting the same UI and service (which for audio I think is really bad on XBMC). 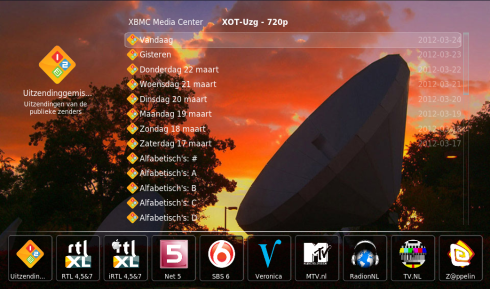 But that depends on what you want, need and are able to configure yourself on XBMC. 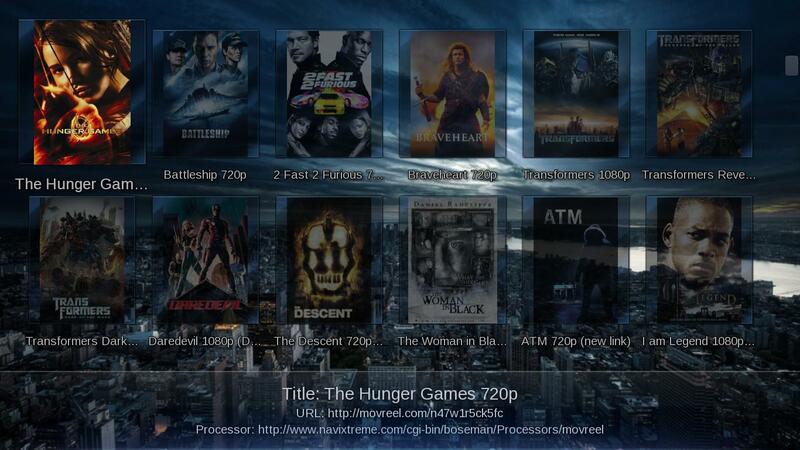 This entry was posted in General and tagged airplay, apple, openelec, opensource, raspberrypi, xbmc by admin. Bookmark the permalink. Hoi, ik probeer XOT te downloaden van de site waar je naar linkted, maar deze lijkt onbereikbaar te zijn. Heb jij het bestand toevallig nog?